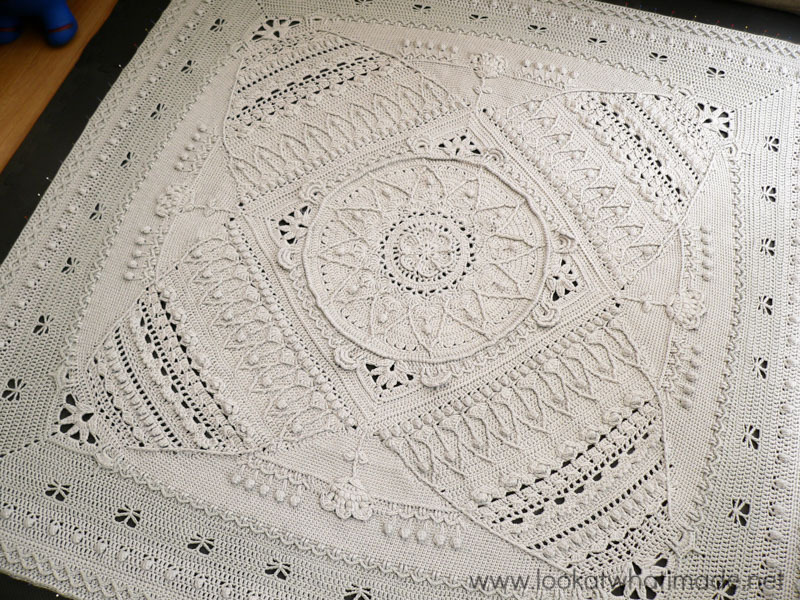 Home ♥ Blog ♥ Crafts ♥ Yarn ♥ Crochet ♥ Sophie's Universe CAL 2015 ♥ Scared to Make Sophie in a Single Colour? Scared to Make Sophie in a Single Colour? 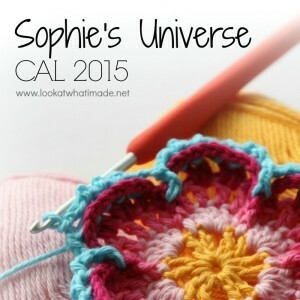 I’ve seen quite a few people say that they are anxious about making Sophie’s Universe in a single colour. They are worried that the pattern will lose its definition, or that they will choose the wrong colour. I thought I would address these fears by sharing Jenny‘s Single Colour Sophie. Jenny used 52 skeins of Scheepjes Stonewashed XL in Crystal Quartz (Available HERE from Deramores and HERE from Wool Warehouse) and a 5.5 mm Clover Amour crochet hook (US 9/I UK 5). Her Sophie was 167 cm squared. This means that her Sophie was 2 cm bigger than mine, but used 2 more skeins of yarn. 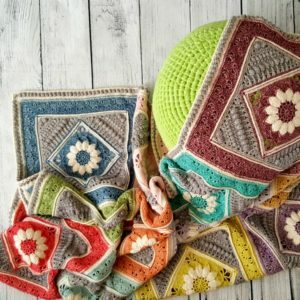 Of course there are some colours that might not work as well when making Sophie’s Universe in a single colour (like black, dark brown, or dark navy), but if you are using a medium or light shade, I hope to show you that you won’t lose any stitch definition by using a single colour. I volunteered for the task of blocking Jenny’s Sophie, and I managed to take a fair few photos in the process. Oh dear! That’s quite a harsh blocking!! I couldn’t decide which photos to show you, so I am showing you all of them! I have to tell you that I did NOT want to give Jenny’s Sophie back! I fell hopelessly in love with the elegance of it (which, unfortunately, I was not able to capture in these photos). …and without the distraction of colours, I was able to really see each detail. My favourite has to be the large central flower on the ‘short sides’. 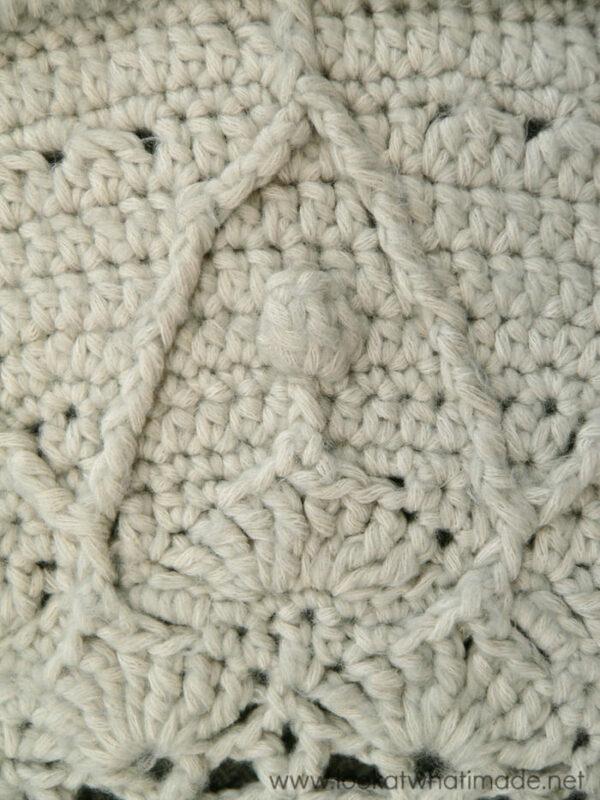 However, I also really like the way the details in the central mandala ‘pop’ in a single colour. Here you can see my Sophie next to Jenny’s one. 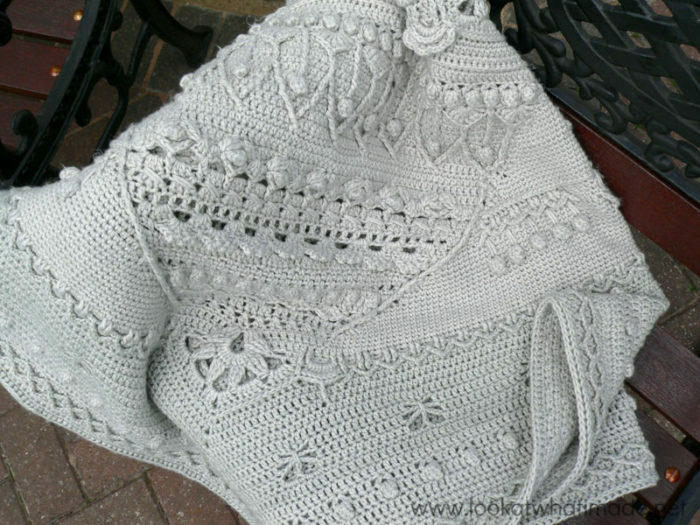 We both used Scheepjes Stonewashed XL, but I used the colour pack for the Large Sophie (available HERE from Wool Warehouse and HERE from Deramores), instead of a single colour like Jenny. I think it is absolutely amazing what a big difference colour (or the lack thereof) can make to a pattern. It almost doesn’t feel like the same design! I wish I had gotten a better picture of Single Colour Sophie in her entirety, but unfortunately the only photo I have of her is when I was blocking her. And to finish off, here are 4 of our 5 combined Sophies (not counting the very first ‘prototype’ I made and have only shared in sneak peeks). From top to bottom they are: Medium Sophie made with Scheepjes Softfun, Small Sophie made with Scheepjes Cotton 8, and 2 Large Sophies made with Scheepjes Stonewashed XL. Details for the colour packs can be found HERE under ‘Size and Materials’. If you are one of those people who have been wanting to make Sophie in a single colour, I hope this post has convinced you that you should totally go for it! And if you have already made Sophie’s Universe in a single colour, please feel free to comment below or tag me on social media. My Sophie book arrived today and I’m soooo excited to get started on my first Sophie!! I was wondering, does anyone have any suggestions on doing this project in two colors? I’d like to do it two shades of teal, but I’m not quite sure how to break it up. Thanks for any advice you can offer. Sophie is gorgeous! I’m interested in using just one colour. I have looked, but haven’t had any success in finding out how much yarn I will need. Of course I need to buy one dye lot, so I need to know how many yards are required. 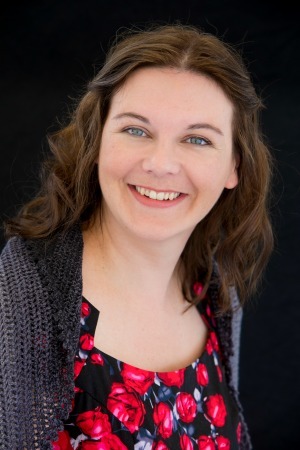 Hi Colette. 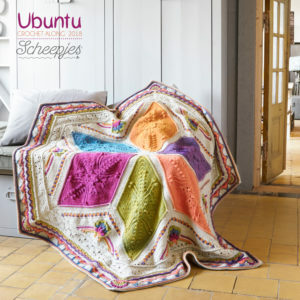 You can read about Jenny’s single-colour Sophie http://www.lookatwhatimade.net/crafts/yarn/crochet/sophies-universe-cal-2015/sophies-universe-one-colour/. 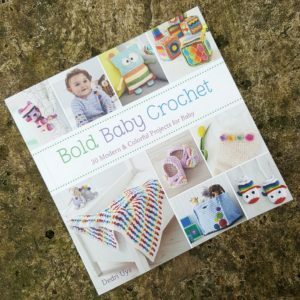 It contains all the information you would need to make one in a single colour in WW yarn. 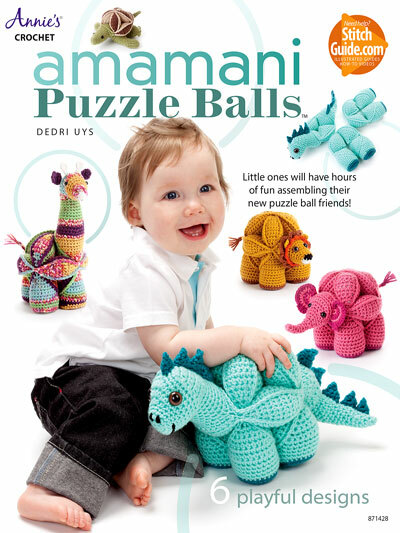 First off, thank you so much for making this pattern free for all of us to enjoy! I am in the process of making a single color Sophie now using a worsted weight dove heather grey. I also made a Sophie’s Garden with color using size 8 perle cotton and regular embroidery thread with a size 2.25 hook. I completed the smaller one to Part 4. It is beautiful but bulges in the central mandala. I’m not sure if you can block embroidery thread like you can yarn, but I guess I should have changed hook sizes. 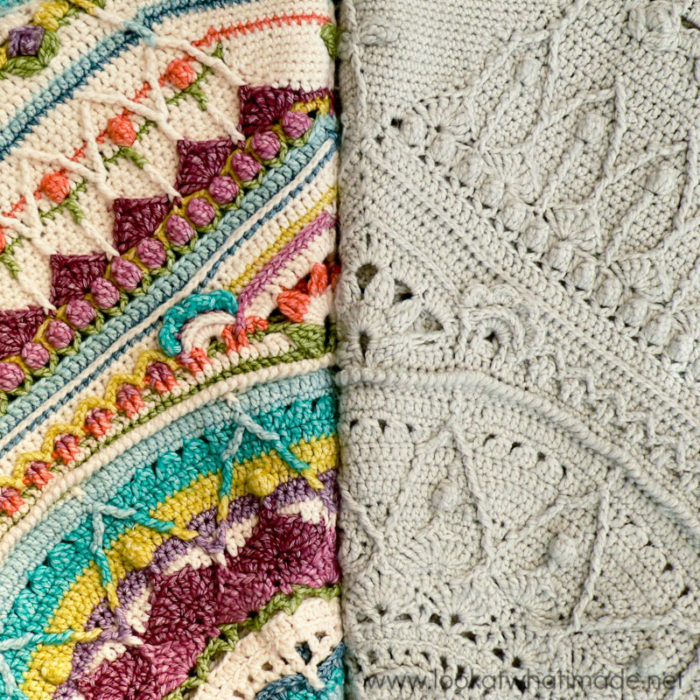 I am currently in Part 5 with my single color Sophie and I hope it turns out as beautiful as Jenny’s! I must say though, the lack of color is killing me every time I see a new detail in the pattern. Hi Sarah. Embroidery thread doesn’t have enough give in it to block the bulge out :( On your single colour Sophie, did you go up a hook size at the start of Part 4? I love Jenny’s one and find it extremely elegant in one colour. It’s absolutely stunning. 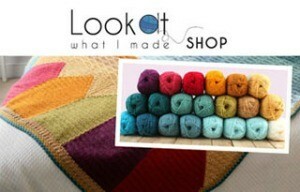 Hopefully my hubby is getting me the yarn for xmas. 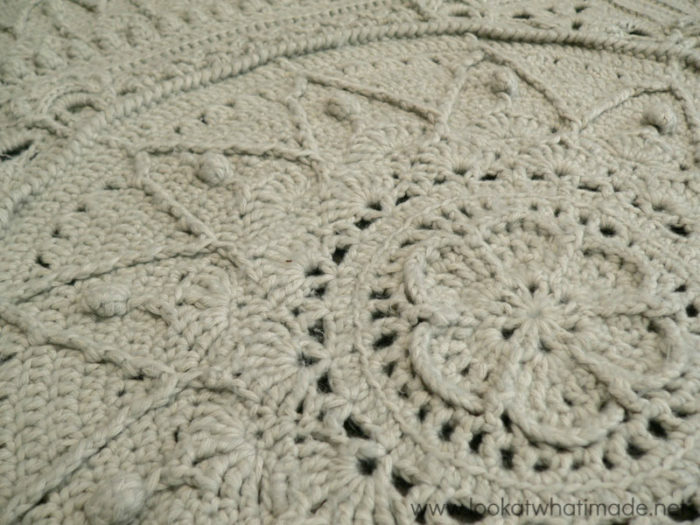 I was wondering though, do you know roughly have much yarn is needed to make the centre mandala on its own so I can make a round cushion please? I thank you in advance and also thank you for all your beautiful patterns, time and talent. I am just starting my first Sophie’s Universe in one single color. I chose a purple mist color. I am having trouble because the pattern is written and demonstrated for multiple colors. So instead of cutting and tying off after each row I need to continue on. This causes the next row to begin in a different area than the pattern shows and thus ending in a different spot. Particularly starting with row five and six. Hi Wendy. A lot of thought has gone into writing the pattern for a single colour AND for using multiple colours. Most rounds will tell you what to do when you are using a single/different colour, but occasionally you will be told to cut at the end of a round and join again at the start of the new round. This is NOT because you are changing colour, but because the next round starts in a different place to where the previous round ended. This has been done for neatness and will happen less and less as the pattern progresses. So wherever the pattern specifically instructs you to fasten off, you do need to fasten off, regardless of how many colours you choose to use. 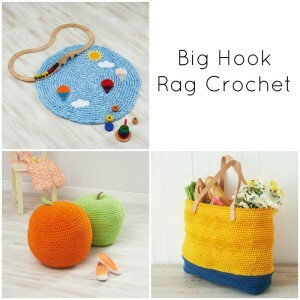 I would use thick yarn and a larger hook. I just bought the yarn to make a start on this blanket – but all the different colours are going back now! You’ve convinced me to go for this – I LOVE it in single colour… Now which single colour do I choose?! I’m thinking either moss green or navy blue… Or grey… Or classy cream… Aaaaargh! 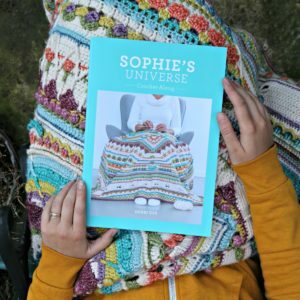 Dedri, I think you’ve shown us that if you’re looking for something amazing, with great detail but without a blaze of colour then something like Sophie’s Universe is the way to go. Thank you so much for showing us the way, you’re great. 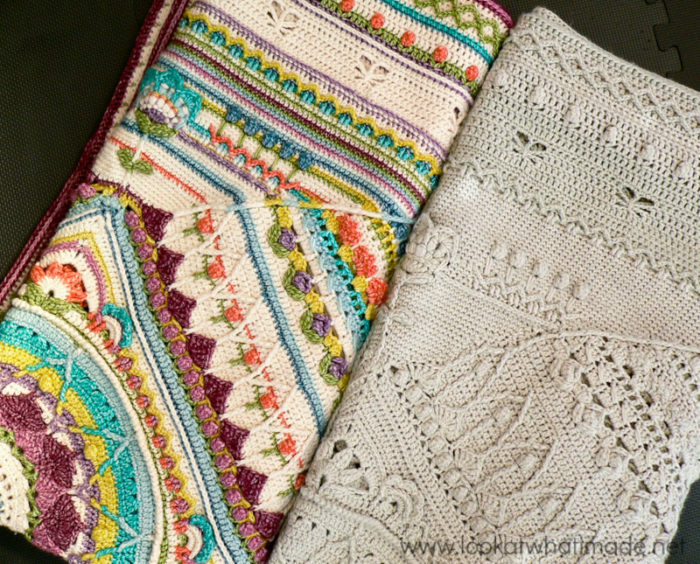 I have to admit, Keith, that I was new to reading patterns when I made my silver Sophie along with Dedri and I couldn’t make up my mind on a colour scheme. 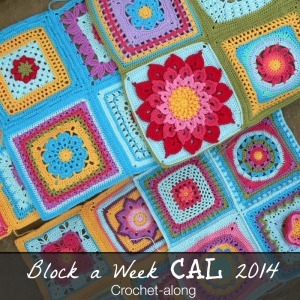 Making the CAL in one colour allowed me to focus on how to read the pattern correctly without resorting to a video. 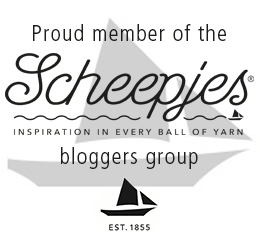 I am very happy I did so, and I also adore my Sophie and the detail you get to see in the stitches and the basic pattern. Sophie in one colour is absolutely breathtaking! Wonderful! One of these days I’m going to make Sophie’s Alternate Universe in a single color. I imagine that will be just as stunning. I just have to decide on the color. I would love to see it when you do, Carol. Jenny’s Sophie is stunning, absolutely gorgeous! Well done Jenny and Dedri, many thanks for for the wonderful experience this CAL gave me!!! Hi Yllka. Thank you so much for commenting. I look forward to seeing your maroon Sophie completed. Jenny is a gem! You are a gem, Dedri. I’ve been looking into doing a single colour. This one looks fantastic. Beautiful work on both! Actually I really can’t decide which I love more!! They both have their own points … strong and bold to be sure! Lovely hands working here!! I am amazed by the design and wonder who thinks these things up. Do they sit and ponder these steps out, kind of like the thinking man statue I have always admired? Powerful lot of thinking going on there!!! I think it looks absolutely amazing. So very detailed, and much more “Indian” in its expression – you can really feel the intricate design and how it captures the eastern spirit of “Mandala Land” (India). Anette, I know what you mean. 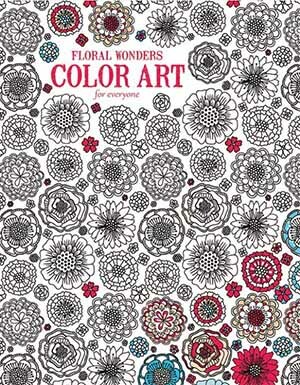 Try as I might, I cannot do a single-colour project, but I so wish I could!! I have to say, I found the single colour work almost meditative. 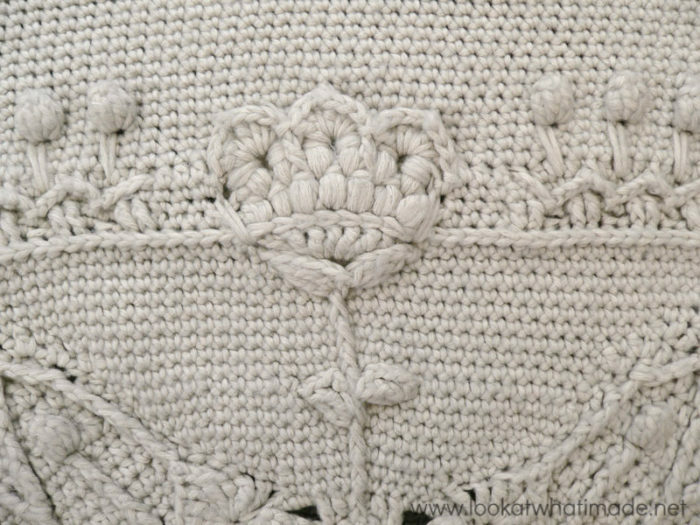 As a novice crocheter at the time, it allowed me to focus on my stitch work and neatness as opposed to being distracted by colour changes. I would like to make a multi coloured version at some time, but it will have to be carefully planned! They’re all beautiful, whether in a single color or many colors. Thanks for all the pictures. Wow! I love the colours of each of the different sized Sophies but the one colour Sophie is amazing as well! 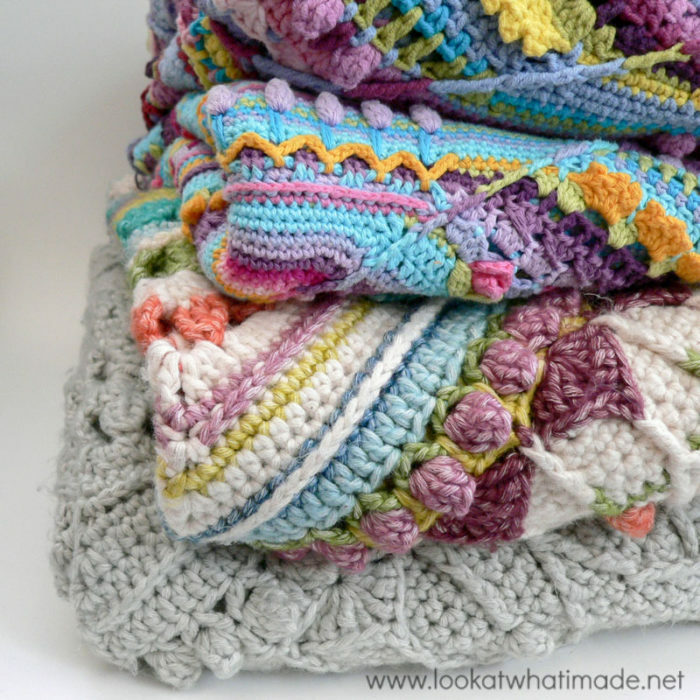 I think it would be so much harder to do because everything looks the same (from my beginner crocheter’s eyes). 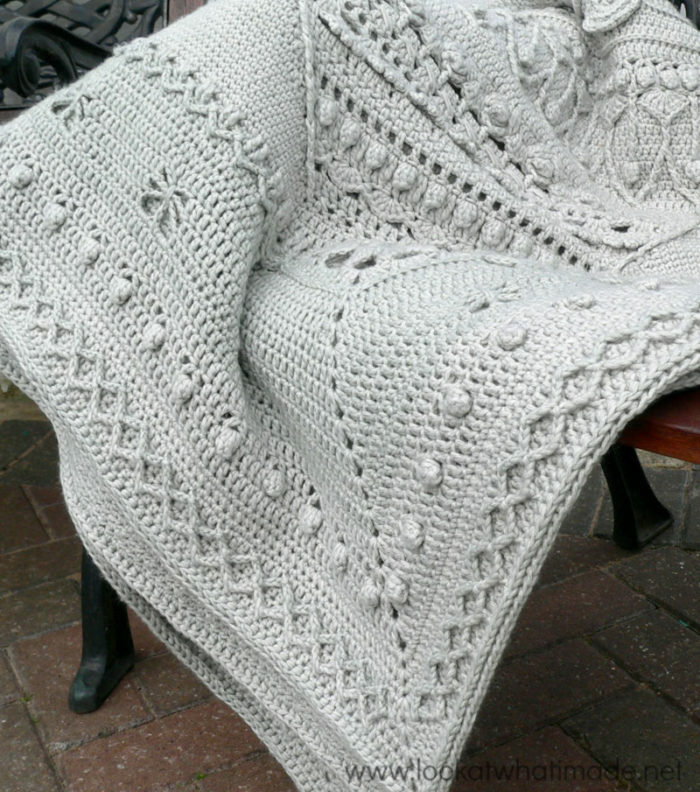 I am going to give this pattern a go sometime soon. I think it is lovely! 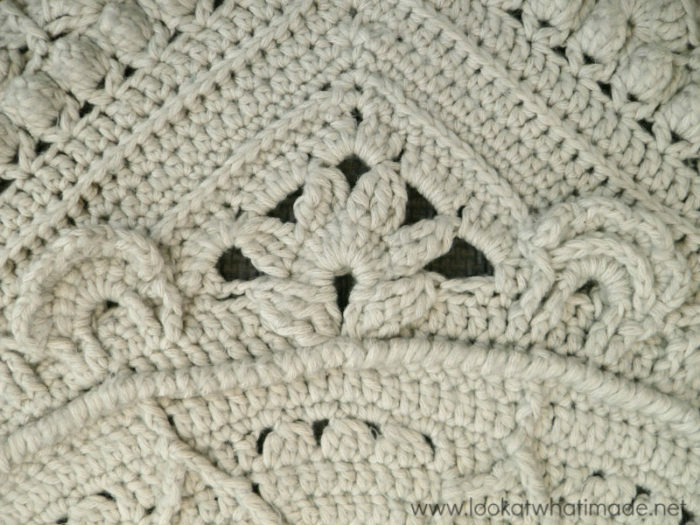 Naomi, if you use a yarn with good stitch definition (like cotton or a cotton blend), it is very easy to see your stitches even if everything is the same colour. 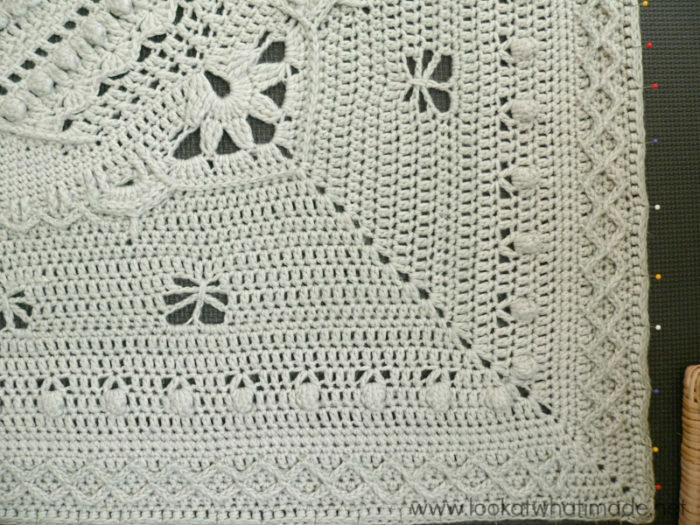 Identifying previous rows is a bit more tricky, but you won’t be working into random stitches in previous rows, so even they are easy to identify (if you know your stitch anatomy).